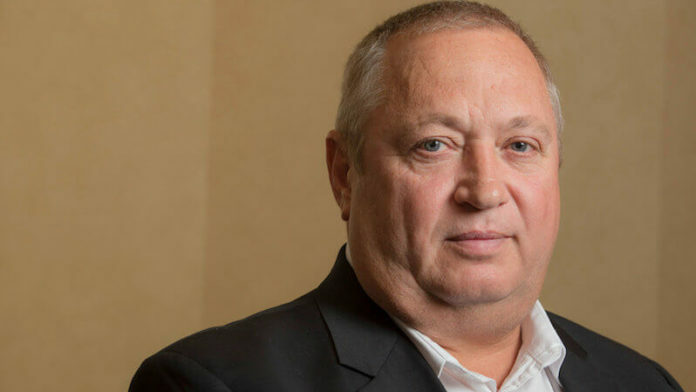 NEAL Froneman, CEO of Sibanye-Stillwater, said the South African government’s approach to the application of the recently redrafted Mining Charter was pragmatic, although certain aspects of the document could attract legal challenges. “If you read the charter in a black and white format, having to re-empower new mining rights is going to make merger and acquisitions more difficult because you will have to value in re-empowerment. But then the value of the assets may have to come down as someone will have to pick up the costs,” he said. However, Froneman believed that mines minister, Gwede Mantashe had acknowledged the important of consolidation, especially in the platinum group metal industry, so if there was “a good reason to do things”, so-called sticking points in the charter might be negotiated. “It’s just a personal point of view; it is not a legal view. I just find a very different minister in place who has an understanding of the big picture,” said Froneman. Froneman, who was responding to questions during the group’s third quarter production report and strategic update, said the only outstanding mining licence renewal for Sibanye-Stillwater was at its Beatrix gold mine. However, that application had been submitted prior to the application of the new Mining Charter. Said Froneman: “If there’s anything onerous placed on the company on a renewal, the Minerals and Petroleum Resources Development Act is very clear that no new empowerment is required and that is point of discussion with the DMR [Department of Mineral Resources],” said Froneman. “That’s my view and I can’t guarantee it. But the interactions that I’ve had indicate that. He’s [Mantashe] firm on the charter, but he’s also firm on the fact that … South African mining … is not a sunset industry. I know where his heart is on this and if there’s a conversation to be had, it will happen,” said Froneman. Froneman is also one of three deputy presidents of the Minerals Council which is involved in a 60-day process of finalising regulations that will provide clarity on how the Mining Charter will be applied in practice. Peter Major MD at Cadiz Corporate Solutions, described the Charter as a “manifesto”, and said none of the investors he had shown it to in the United States and Canada during a recent trip “… had been able to get past page four”. The company with most to lose with the Mining Charter is Sibanye. They will need to do empowerment deals on all operations to comply. They will probably come with argument that re-empowerment will make the asset uneconomical. In my view DMR must play hardball with them. Comply or sell. No intellectual analysis before commenting,unfortunately. The anti-transformation brigade & diatribe needs to be confronted with vigour , including its peddlers like our editor! He must firstly fix operational deficiencies at the Gold division !